The Robert Bracers offer a unique take on leather armour. 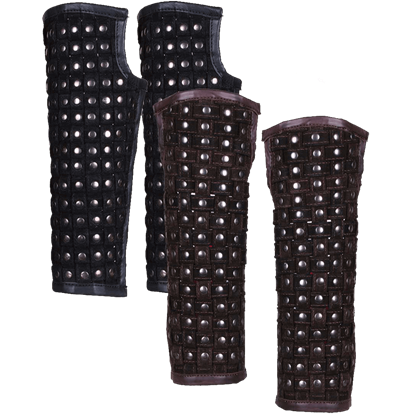 Thick strips of suede are woven together in a square pattern to make up the body of these bracers, secured in place with metal rivets. 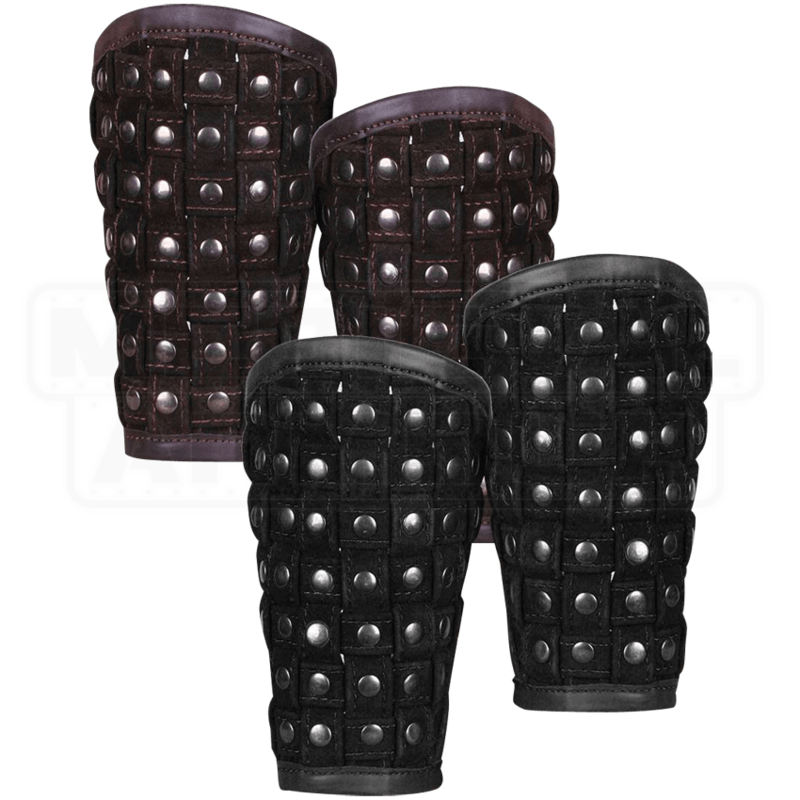 The suede construction lends them a comfortable feel, while the multitude of rivets gives the LARP bracers a particularly fierce appearance. 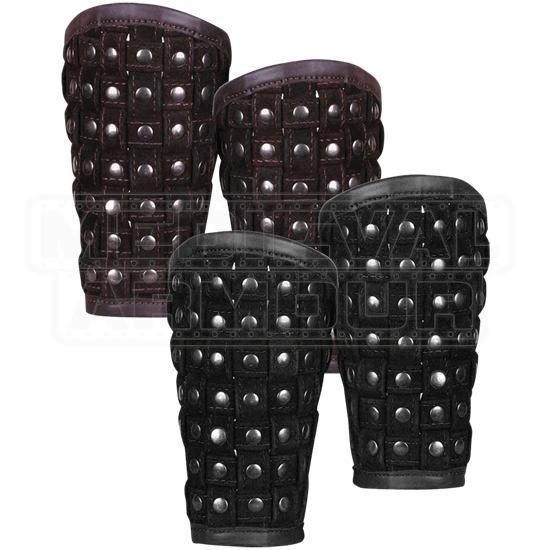 They are attached at the back of the forearm with three adjustable leather buckled straps. Wear them easily with many leather armour looks, or pair them with the matching Robert Greaves (MY100337). Please note that this is a natural product, therefore, minor variations in color and texture may exist. The Robert Greaves feature a unique construction. 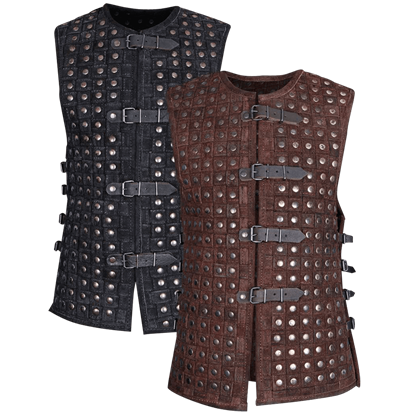 Thick suede strips have been woven together to make up the body of each greave, secured in place with a multitude of metal rivets. The suede construction lends a comfortable feel.